Seth Rollins broke John Cena’s nose a few weeks ago on Monday Night Raw. And botch aside, it was the greatest thing that could have happened to either of them. The remainder of the match was a bloody, tense affair. Every couple of minutes, Cena rolled towards the ring apron, not only so the ring doctor could stop the bleeding, but also so he could clear Cena’s nasal passages. When blood pools in the nostrils, it can make breathing difficult, and in a high impact sport like professional wrestling, that’s a recipe for disaster. Cena managed to finish the match, albeit barely—the man, regardless of what you may think about his character’s booking, is a phenomenal worker. He was taken to the hospital, where he underwent surgery to repair the damage. And in the meantime, the WWE ran with the angle. They uploaded a backstage photo of Cena’s injury—smeared blood and all—and it promptly started trending on social media. It got the WWE the type of mainstream attention it craves. And on Raw itself, the response was immediate. Michael Cole reacted to the unexpected injury during the match by praising Cena’s resilience. And on Raw the following week, a gloating Seth Rollins cut a mocking heel promo—not only taking credit for breaking Cena’s nose, but holding no regrets. Cena retaliated on this week’s Raw, threatening to break Rollins’s nose at SummerSlam. Thus, thanks to a real life, accidentally bloody event, wrestling felt "real" again. And in a business where the entire backstage business has been exposed, realness is a precious commodity. Up until Cena’s nose exploded on live TV, the Cena/Rollins rivalry had zero hype. In one corner, we had John Cena, a 15-time World Champion who is currently the midcard United States Champion. His prestige was meant to elevate the division, but he pinned everyone he faced, and he even made Kevin Owens tap in their rubber match at Battleground. The WWE wanted Cena to highlight young talent on the roster, but at the end of the day, Cena diminished them, because the WWE brass lacked the courage to put somebody new over. Cena was relegated to being the same, stale Superman that he’s always been. And in the other corner, we had Seth Rollins, who is one of the weakest WWE Champions in recent memory. The guy has spent the past few months hiding behind the skirts of Kane, J&J, Triple H, and Stephanie McMahon; up until recently, could not win a match cleanly without leaning on The Authority. If this guy was going to be the future direction of the company, he wasn’t getting over as a formidable presence with the fans. Even if that was the intention of the writers, it’s a questionable strategy at best. So the response to the entire Rollins/Cena feud had been apathetic. Who the hell do you cheer for? The guy who always wins, and lends the belt out when the writers get bored, or the guy who’s been booked so weakly that he probably doesn’t deserve the belt to begin with? And that’s why the unintentional blood saved the story. On one hand, it made Superman look vulnerable—“See? He’s just a man, just like us!”—and suddenly, a SummerSlam victory didn’t seem like a foregone conclusion. And on the other hand, it gave the "weak" Rollins an aura of danger—a characterization that he’s desperately needed ever since he left The Shield. Of course, this was a happy, unexpected accident—in the current PG era, blood is frowned upon, and anyone who intentionally breaks that rule can be fined or worse. The act of intentionally bleeding during a match is known backstage as "blading." The wrestler will hide a straight razor in his elbow pad, and after a particularly devastating move (usually a chairshot, or a tackle against the steel steps), the wrestler will discreetly cut open his forehead. Now, no one is asking for blood to be a regular thing. Wrestlers should not be bleeding every week, or even on every PPV. Some wrestlers have gone way overboard in the past. Near the end of his career, Ric Flair seemed to find excuses to bleed at the drop of a hat. And even the Chairman of the WWE, Vince McMahon did ridiculous blade jobs, particularly against the Undertaker at the 2003 Survivor Series. Perhaps the most badly done blade job was at the 2004 Judgment Day PPV. JBL hit Eddie Guerrero with sickening chair shot, and Eddie bladed so deeply that he nicked an artery, leading to one of the most uncomfortable sights in WWE history. So yeah. No one’s asking for a circus. But when blood is used sparingly and in key matches, it can be a career defining moment for a wrestler. At Wrestlemania VIII, Bret Hart bladed against Roddy Piper, and it raised the stakes considerably. Here was this young kid challenging a veteran in one of his biggest matches ever, and he was putting it all on the line to get job done. At the 2002 No Mercy, The Undertaker bled buckets for the up-and-coming Brock Lesnar. And since Taker rarely bleeds, the blade job let us know that Brock meant serious business—he could even make the Dead Man hurt. And speaking of Hell in a Cell, the very first HIAC was christened with blood. Shawn Michaels was launched, face first, into the side of the Cell at the 1997 Badd Blood, and it got the Cell over as the WWE’s most dangerous gimmick match. And lastly, blood was responsible for one of the biggest matches in Wrestlemania history. It’s become an iconic image: Stone Cold Steve Austin, locked in Bret Hart’s Sharpshooter, screaming in pain before collapsing in a pool of his own blood. It turned Hart heel, it jumpstarted the Attitude Era, and it catapulted Austin to new levels of superstardom; he was one tough Texas Rattlesnake. Which brings us back to John Cena, the biggest hero of the current PG era. Perhaps the problem that a lot of fans have with Cena is not only that he wins all the time, but that he does not appear to suffer for his wins. That wasn’t always the case; think back to his "I Quit" Match at the 2005 Judgment Day against JBL—which was, admittedly, way too far. But think back to Cena vs. Lesnar at the 2012 Extreme Rules. 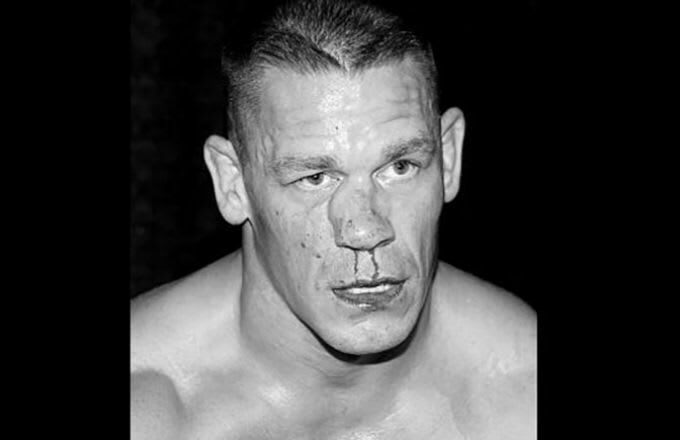 That was another time that Cena bled unintentionally—the result of a stiff forearm to the forehead. And even though Cena won that match, the damage that Lesnar inflicted was palpable. Cena may have won, but he didn’t walk out of the arena looking like Superman. And Lesnar lost, but he lost none of his heat—he had pushed the top babyface in the company to his absolute breaking point. Cena’s broken nose a few weeks ago may have been an accident, but it proved some important points. First, that a PG era audience can handle a bit of red in modest amounts. And second, that blading can function as a crucial storytelling device, and can take a feud or match to another level of intensity and personal stakes. Blood doesn’t have to be gratuitous; if a wrestler doesn’t bleed after taking 30 knees and elbows to the face, that’s what starts to become silly and over the top. Two invulnerable Supermen should not be "hitting" each other with nothing to show for it. And if we don’t believe that these people can walk away from a nasty brawl without a single scratch, then how are we supposed to care about them? Kevin is an AP English Language teacher and freelance writer from Queens, NY. His focus is on video games, American pop culture, and Asian American issues. Kevin has also been published in VIBE, Kotaku, Joystiq, Salon, PopMatters, WhatCulture, and Racialicious. 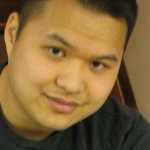 You can email him at kevinjameswong@gmail.com, and follow him on Twitter @kevinjameswong.